We all have those friends – they grow up around the game, played golf in high school or college and they just destroy you every single time out. It’s demoralizing. Well, get yourself a handicap and stop giving away strokes arbitrarily. It’s time they picked on someone their own handicap! Your crew at the office needs a fourth for their member/guest at the local course but guess what – the tournament requires a handicap index. Are you really going to turn down the chance to raise work camaraderie to the highest of levels? We all play in charity tournaments to help a great cause, right? Oh, and to win post-round prizes. If you’re one of these people with an “approximate handicap” you’re automatically ineligible. That’d be a good rake, though. A handicap offers you the ability to track your progress (whether good or bad). Is your trend headed towards a U.S. Open bid or a full set of clubs tossed in the lake? Don’t be that person. “Eh, I’m around a 16,” and then proceed to shoot 80. You won’t get an invite back. Stop floating and get real! It’s the only way to prevent yourself from becoming a bagger. The beauty of the handicap system is that it’s fused with USGA course rating. Disappointed about a 94 from the tips at PGA WEST Stadium Course. Don’t be. It’s the equivalent of an 82 at Rancho Park GC. No one likes to feel dumb. 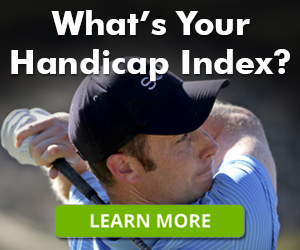 With a handicap index you’ll soon learn what the heck all those numbers mean on the scorecard. “Handicap” is printed all over the scorecard – get in the know. This one is a no-brainer. If you aren’t getting strokes from your friends (who are clearly better) then you’re just lighting your money on fire. Get yourself a handicap and start to earn back some loot! It’s Monday morning and everyone is rehashing their rounds from the weekend. “I shot 80 but the course was easy so it’s differential was 13.3.” What? “My handicap went up .7 in the last eRevision.” Is that English? Don’t get left out. 10. If it’s good enough for A-list celebrities, it’ll work for you. Heart-throb JT is a 4.1 playing out of Lakeside GC. Funny man Larry David is a 12.9 at Riviera CC. Mark Wahlberg is a 14.7 swinging it at Wilshire and Riviera. Join greatness. Ready for that handicap? 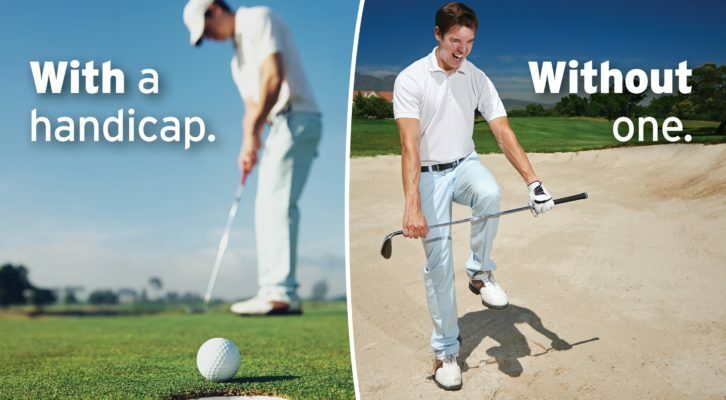 Join the SCGA and get your handicap index today!